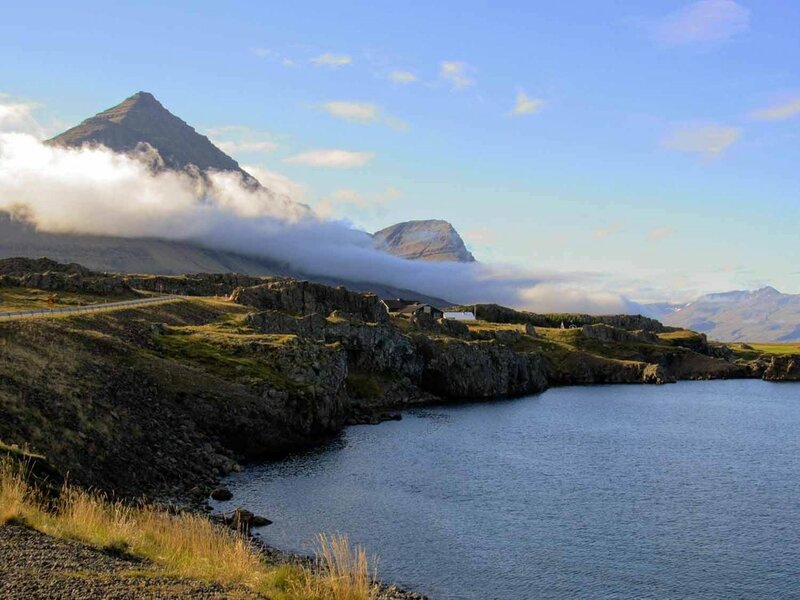 Shortly after making our way to the fingers of Iceland’s East Fjords, we came across an abandoned fishing village. It was perfect. We pitched our tent and admired the foggy landscape. Until 70 years ago, this fishing village was only accessible by sea. In 1949 a tunnel was constructed from Eskifjörður through the Oddsskarð mountain pass to Neskaupstaður. Let me tell you... this is one sketchy tunnel. Seriously, it’s saved on our map as “sketchy tunnel”. It is a one-lane two-way traffic tunnel and feels as though you are driving to the center of the earth through an abandoned mine shaft. Steady streams of water drip from the rocky roof and nets along the sides aim to defer any debris... Lucky for you, a new tunnel was due to open in 2017. We haven’t been back to verify, but if not, it’s in the works. Fun fact about us: we love getting to the furthest point of each place we visit. We’d already hit up the southernmost Village of Iceland and Neskaupstaður is the easternmost town in Iceland. It’s worth a stop! We continued on, ditched the car, and headed for the hills. We found an awesome, secluded campsite where we wandered down to Brunavik bay... This was our only hike-in, hike-out overnighter in Iceland, but definitely became one of our favorite honeymoon experiences. It felt so good to get off the beaten path (or in this case, the well-paved path) and kick it with the sheep. Getting to Brunvik Bay: From Egilsstaðir, we ventured off the Ring Road (Hwy 1) and headed north on Route 94. Following Route 94 up and around, we found ourselves in Borgarfjörður Eystri, and driving past the rural fields of Bakkagerði. Not too far after (but before the road ends at harbor Höfn Borgarfirði Eystri), we found a dirt parking pull-off (only enough room for a handful of cars in a single row) where we left our car overnight. The trail picks up right here after going over the fence. Eastern Iceland is by far less crowded than other parts of Iceland, largely because it is directly opposite of Reykjavík. Getting away from the crowds is well worth the detour.